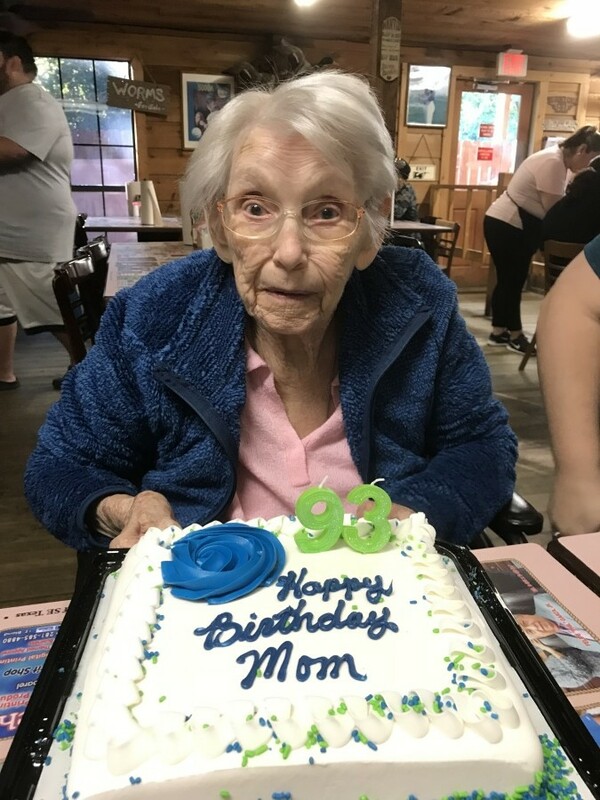 SANTA FE – Mrs. Louise LotteEtta “G-Ma” Longacre passed from this life Monday, August 27, 2018, in Santa Fe. Born October 21, 1924 in Kansas City, Kansas, Mrs. Longacre had been a resident of Santa Fe for over 50 years. Louise enjoyed knitting and reading. She is preceded in death by her parents, Carl Poter and Lottie Gretchen (Walton) Winchell; husband, Russell Eugene Longacre; sister, Rose Anna Belle Hoeper; brothers, George Winchell, Poter Winchell. Survivors include her sons, Allen Longacre and wife, Elizabeth of Friendswood, Dewayne Longacre and wife, Robbie of Onalaska, Richard Brimer and wife, Bonnie of League City, Jerry Brimer and wife, Kathleen of Henderson, Mississippi; daughters, Julitta Jo Phillips and husband, Jimmy of Santa Fe. Jannelle Longacre of Dickinson, Carleen Brimer of Concordia, Missouri; special granddaughter, Michele Phillips and great-granddaughters, Alexa Dean and Balie Hahn; 17 grandchildren; 24 great-grandchildren; numerous nieces and nephews. Graveside services will be conducted 11:00 a.m. Saturday, September 1, 2018, at Alta Loma Cemetery, with Pastor John Newton officiating. Pallbearers will be Ian Boyd, Matt Hahn, David Longacre, DeWayne Longacre, Mark Longacre and Brandon McDonald. Visitation with the family will be from 9:00 – 10:30 a.m. Saturday in the chapel of Hayes Funeral Home, 10412 Highway 6, (409) 925-3501.